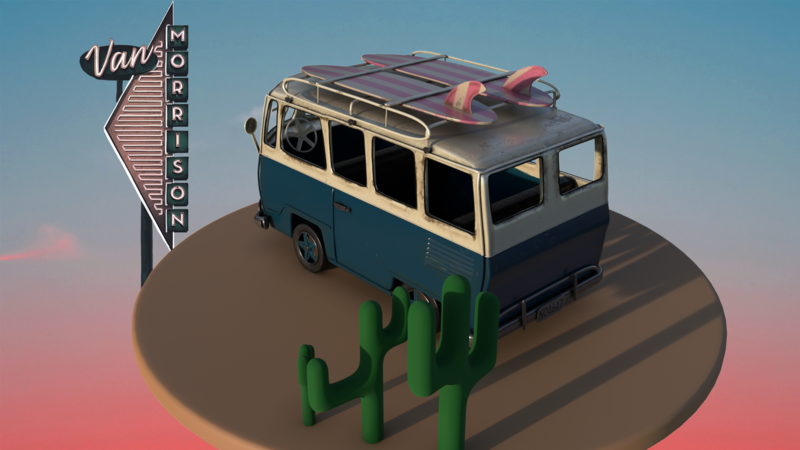 In this post I will talk about how I modeled and textured a tin toy. It was quite a challenging task for me, because the most difficult thing is not to make something, but to make it REAL. To create an illusion that it’s object from the real world. Just like on the photo. It comes in so many variations and colors actually ! 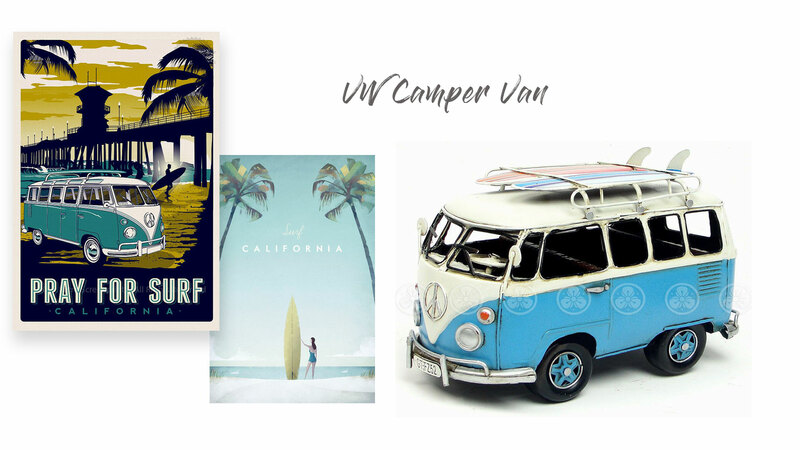 And even stars in swimsuit campaigns as it resembles chill vibes, surfs, travels and California sun 😎 Click on the image to get some of the inspiration that was helping me through out this project ! Figure out if the model is symmetrical along some axis. Start booking out first shapes. 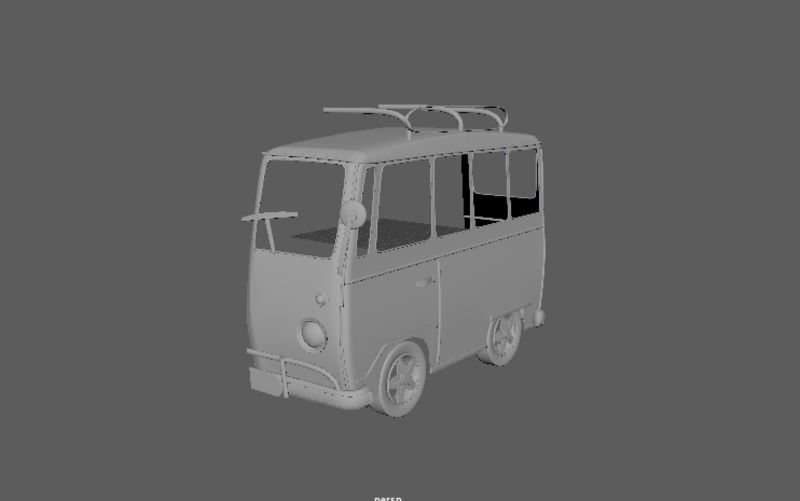 As you see I started with a bloky shape on which I marked where the wheels will be (as you see they both are different shapes) and first small parts. Two tricks I used to model all the small tubes and parts that follow shape so well 😉 First one is extrusion of the faces. Like on the bumper I needed one panel that follows shape of the bumper very precisely. I chose all faces on the bumper that I would want to form the panel with. Then went Edit Mesh –> Dublicate. After that you get the face that you selected as a new object. This new object is easy to work with. You can extrude it, bevel edges and edit as much as needed. Another one I used for making tubes along windows and edges is converting an edge to the curve. 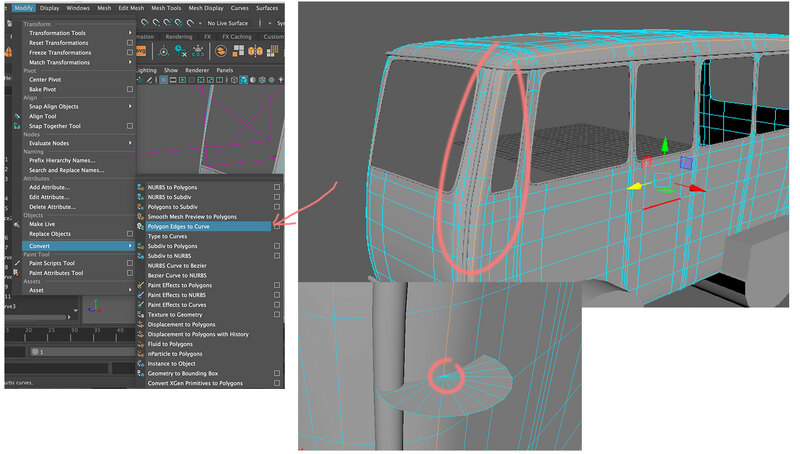 Select the edge on the object you need then go to Modify –> Convert –> Polygon Edges to Curve. After I used a round face of the cylinder (simply create basic cylinder and delete all face except for the one circular one), align center of this face with the curve and Extrude (Ctrl+E or Command +E). After that you probably will have to adjust amount of divisions on the extruded shape. It all depends on the length of the curve. I slowly populated half of the toy with tubes, bumpers, mirrors, lights, handles and all the other stuff needed. Placed wheels into the created spaces. While modeling different parts I also like to adjust shape of it from time to time. And don’t forget to duplicate your shape as much as possible. Every major alternation of the shape should be done on the duplicate. Because what something goes wrong ? Duplicate, duplicate, duplicate ! As well as increment and save. Always. USEFUL TIP: I took as a habit to increment and save and never override my files. Sometimes your saved version gets corrupted (you never know with Maya), but you can always go to previous save if this happens and not lose all the work. 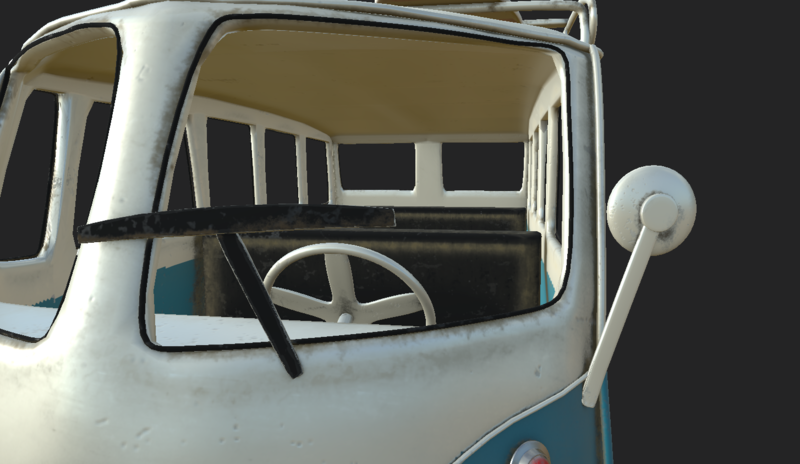 After finishing half of the van with all the details that are symmetrical I mirrored it. To do so you copy the half you have by going to [Edit –> Duplicate Special (click on the option box)]. In the option scale put “ – ” for the axis you are mirroring it. For example if you are mirroring it on the X axis parameters should be “-1, 1, 1”. All the rest stays the same. After hitting Apply you will get two same parts on the different sides of the axis. If everything worked fine you will get a little gap between them and they will be two separate meshes. Now let’s combine them ! 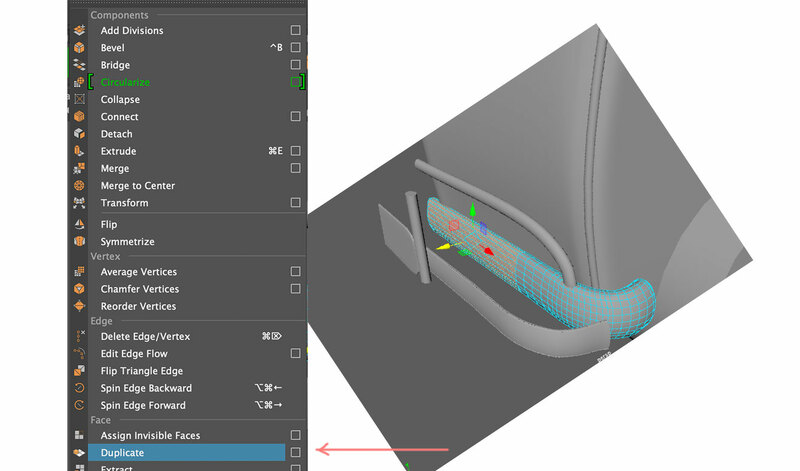 To do so, select both meshes and choose Combine in the modeling toolkit bar on the right side on your screen. Delete history by choosing [Edit–> Delete by type –> Delete History] . The gap is still there. You can eliminate it the fancy way and the manual one. Fancy one will work if ALL your vertices on the side are one line. You choose vertices around the gap and Merge to centre. If that doesn’t work, you can merge them manually one by one by using Target Weld in the Toolkit bar. 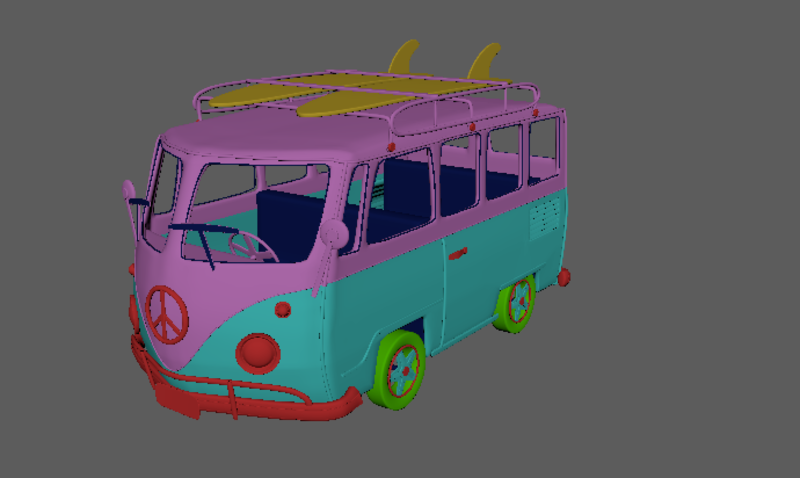 So after I merged two parts and got full mesh, only final touches to the geometry were left. Firstly, I built basic inside interior: Two benches and a control panel with a steering wheel. 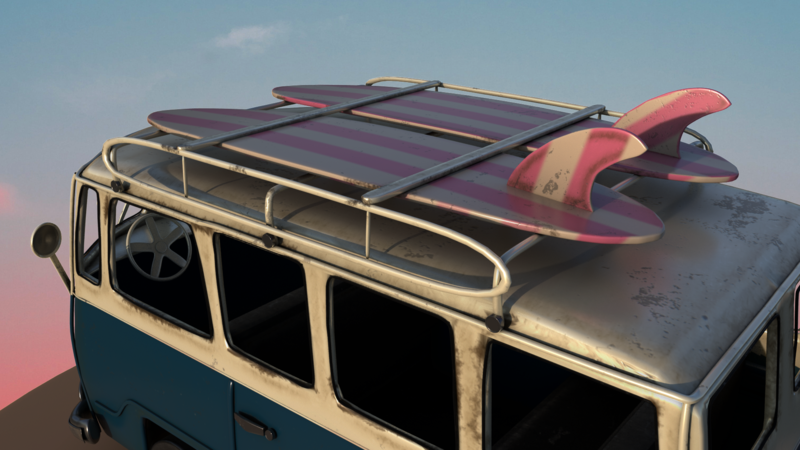 Secondly I had to build front decoration of the van – peace sign and the edge of V form that separates blue paint from white. 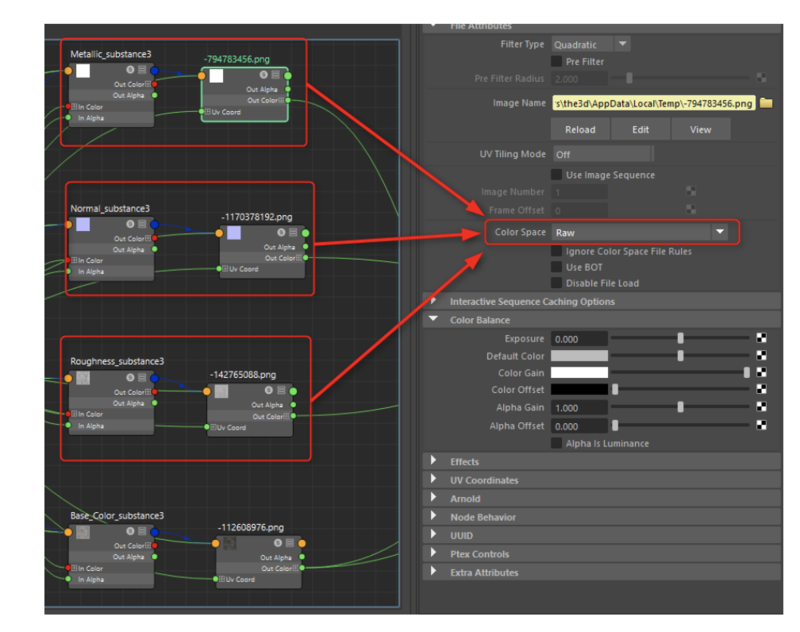 To approach texturing correctly and have a procedural workflow (with is useful and cool) I use ID maps. ID maps are different colors that represent different materials assigned to the faces of the object. So I usually start with a fresh scene. Nothing in it. I create a reference, which is [ File –> Create reference ]. And use the final version of my model as a reference. Before that I call my final version MASTER. And this file doesn’t change anymore. 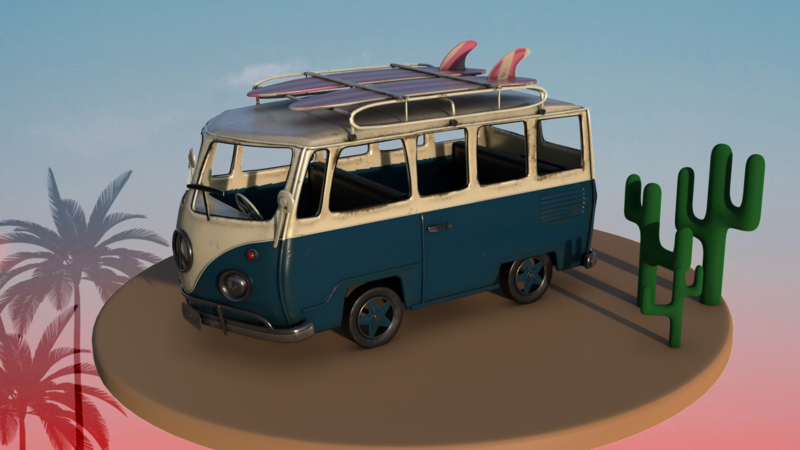 So after I create a reference my toy is in my scene and I can color it. Coloring process is simple. In the hypershade create Lambert shader. Give it a name of what it represents, for example “plastic_mtl_001” or “blueMetalPipes_mtl_001”. Change the color of it to some contrast color. and assign it to the faces of the object that will have that material. Keep working like that until every face on the model is colored. Warning, it will look extremely funny ! 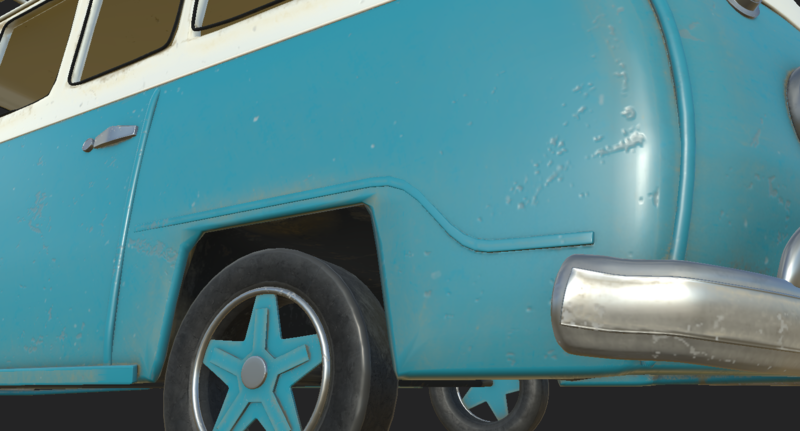 Process of creating maps will make texturing process so much easier and faster that you can concentrate on the artistic small things and creative decisions rather that just painting of base colors. Also it makes it easier to make changes if something doesn’t look good. Ad last but not least, it saves up space and compresses UV data, so there is no need to place UV of every thing on the different udims. 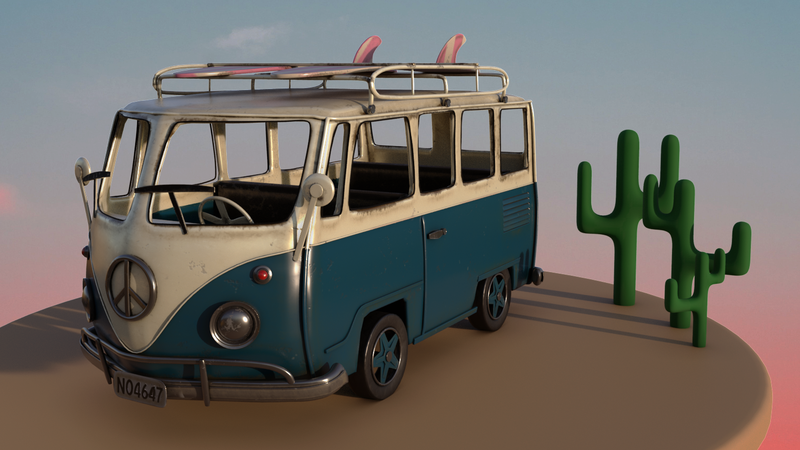 Okay, so moving forward, exporting this colored model as obj and importing it into substance designer to bake ID maps. 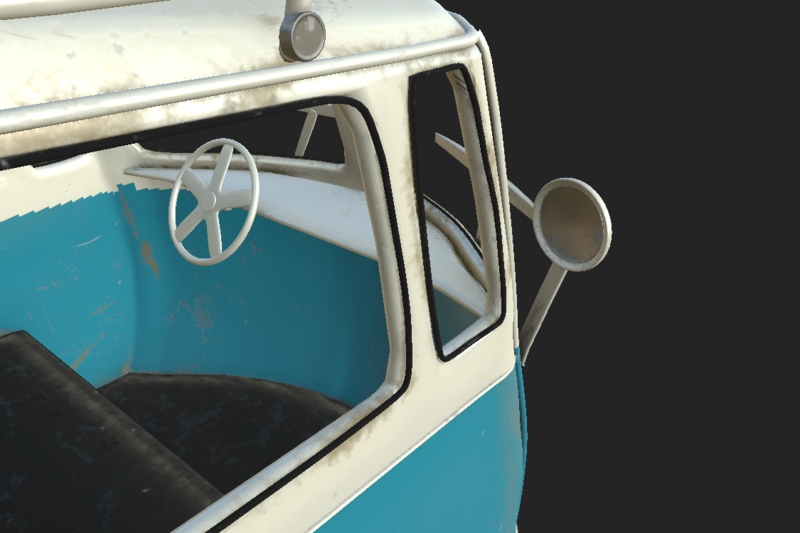 And after bring all the bake maps with obj model into Substance. I will make separate post about how this process is done in details. 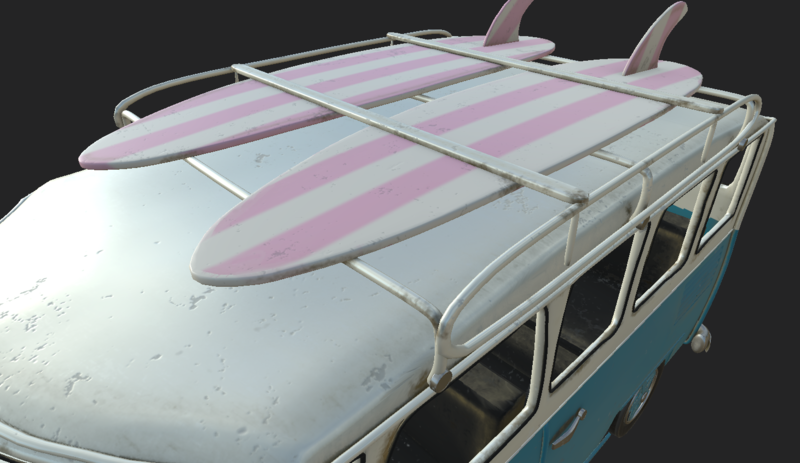 But for now I want to show you my final textured result. 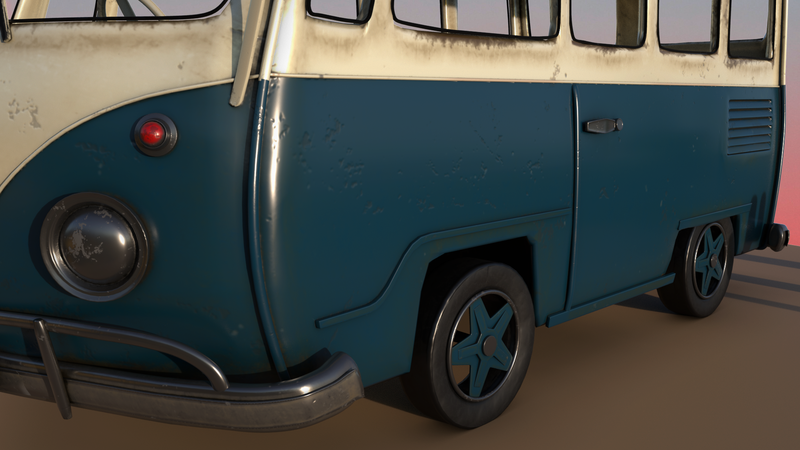 As you can see I created chips, dust, dirt and rust everywhere to create real life look. Sometimes you get an edge like that and you can easily fix it with the paint brush, by just painting over by hand. 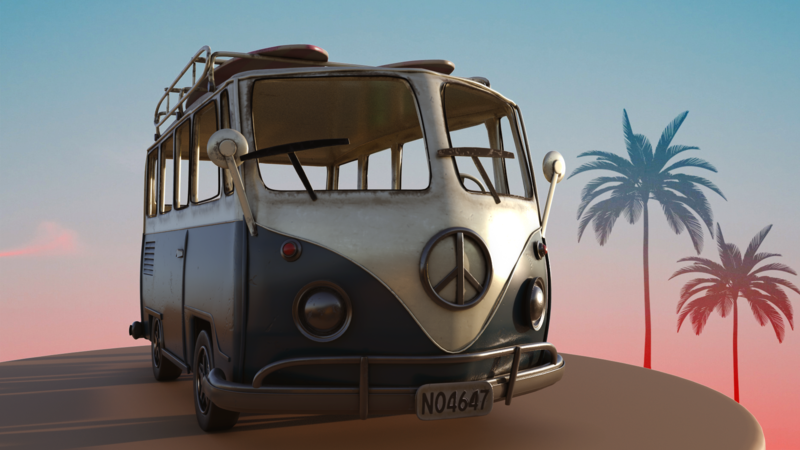 Then I exported textures from Substance Painter into Maya and imported model into a fresh scene. 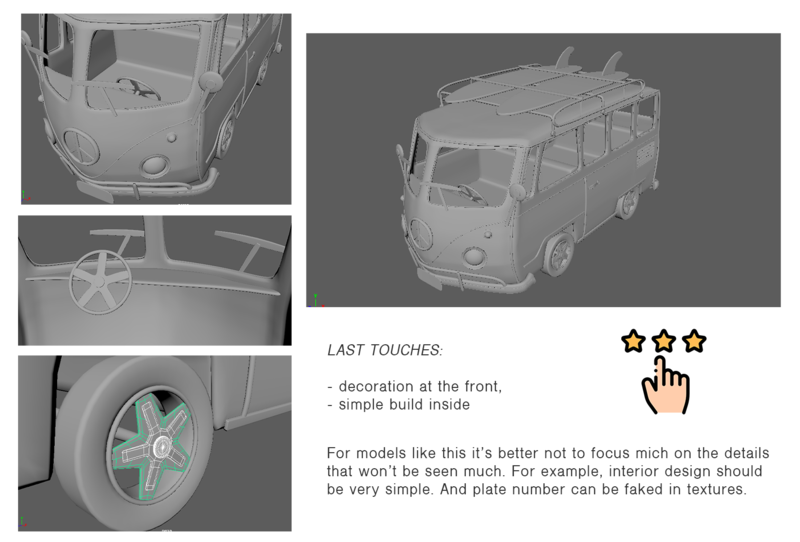 Don’t continue working on the reference as it will bring you lot’s of troubles and bugs during texturing and rendering. Connecting shaders are done in hypershade. I created an aiStandartSurface shader and assigned all exported textures to it as File (texture) nodes. Very detailed info about that is here [click on the image to check it out].